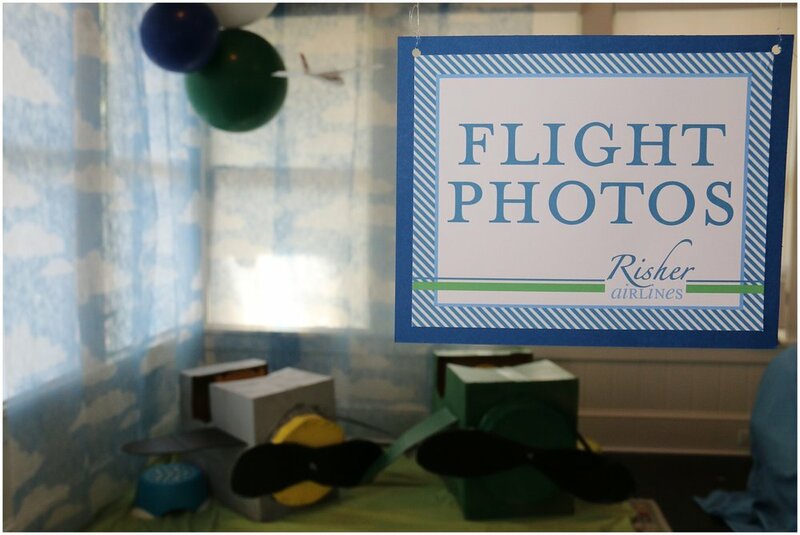 Mom of this little pilot takes her parties to new heights! She’s a seasoned entertainer and diy-er at heart. 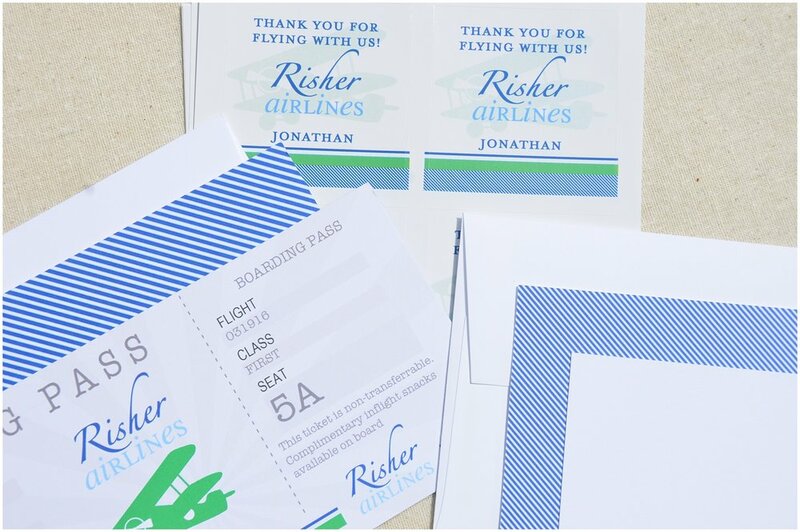 I helped design an airline ticket invitation with coordinating favor stickers and thank you cards. She gave me some details of the party and the activities that she was scheming up. 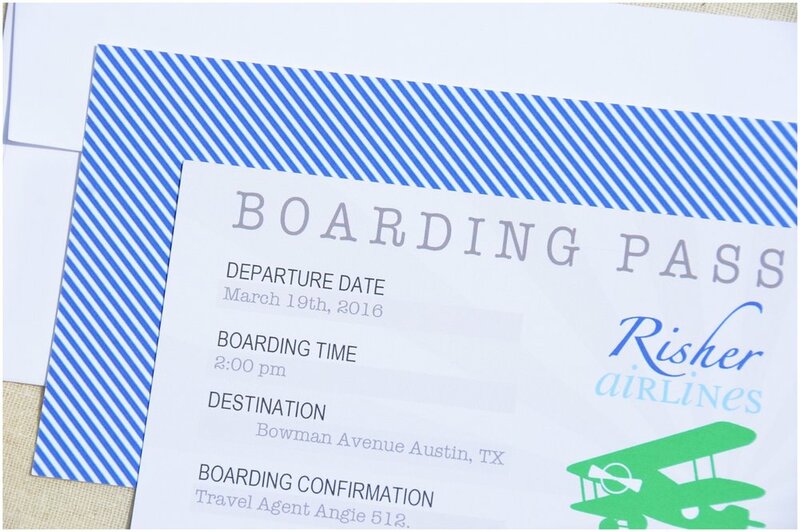 I put together some party signs to help organize the activities into different areas of the aerial adventure. 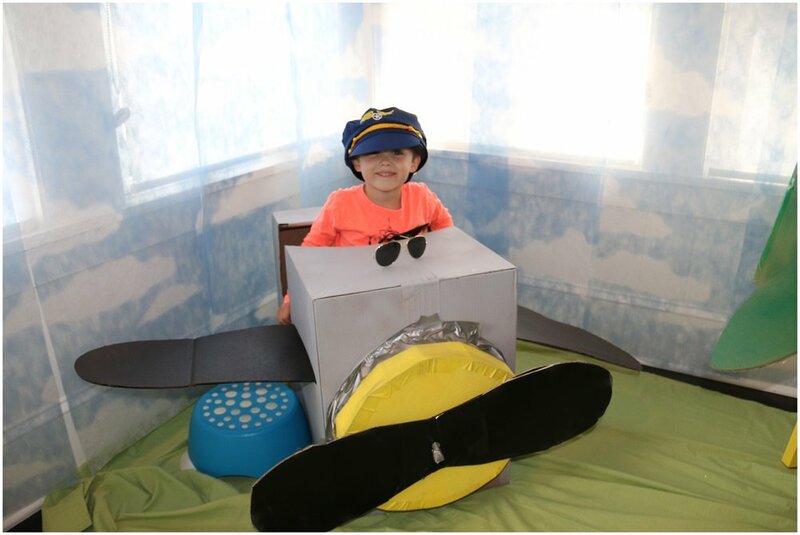 Um, how cute is that pilot? !